Here's an exclusive peek at his photo shoot for the brand's Spring/Summer campaign. 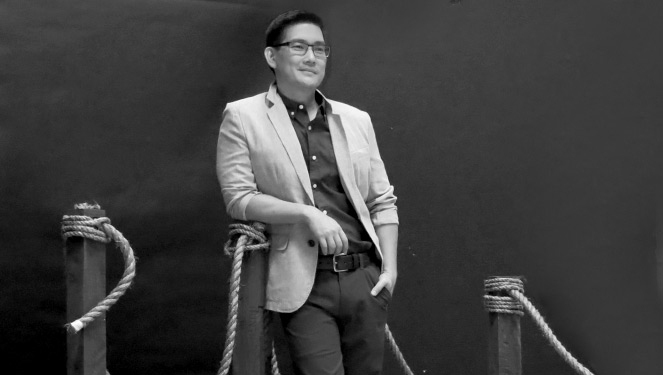 Giordano kicked off their year-long 25th anniversary celebration with the launch of their very first local endorser: Richard Yap. A self-confessed Giordano fan, the Be Careful With My Heart star was more than delighted to be chosen to be the newest face of the brand. “I’ve been using their clothes since the 1980s, even when Giordano was not yet in the Philippines. My sister, who used to work in Hong Kong, used to buy Giordano t-shirts for me. In fact, I still have those t-shirts now,” he said. "If we look at the values of Giordano, Richard embodies it perfectly. He's very clean, cool, and casual," says Bea Lim, Giordano's VP for Marketing. And we couldn't agree more. With his dapper looks and endearing persona, this partnership is indeed, a match made in heaven. Watch out for the full campaign to be released very soon in Giordano stores nationwide. Click here for the Store Directory.